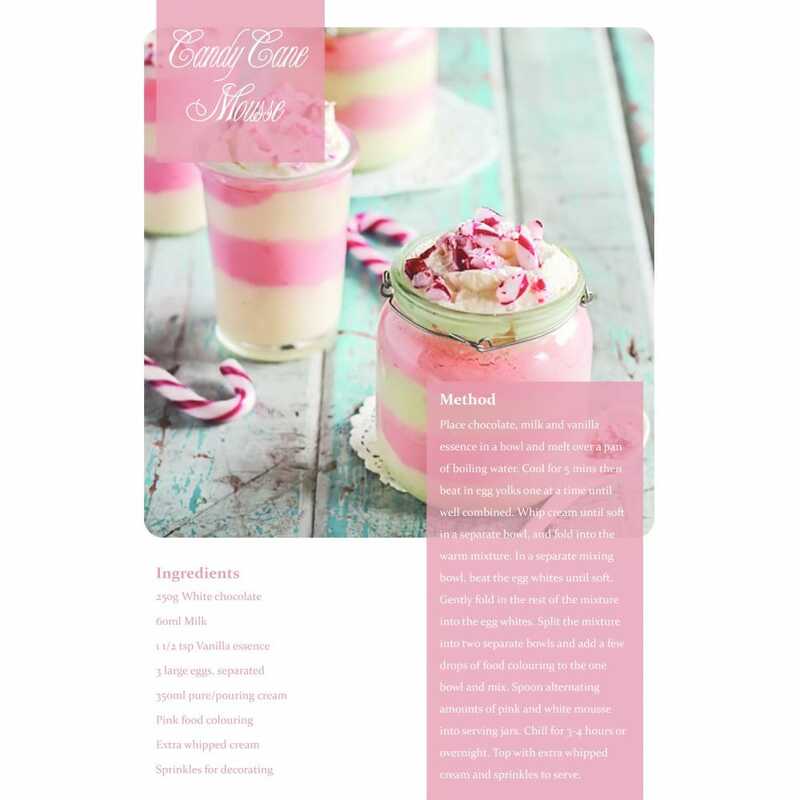 For a sweet, rich dessert idea, take this candy cane mousse recipe, a cute, girly gesture to offer your hens. The mousse is comprised of two, equally delicious, white chocolate and vanilla layers, and when served, the alternating layers of pink and cream create a candy cane finish. Serve along with other sweet treats at a pre-Hen get together or for your home Hen Party.